WARNING: SPOILERS AHEAD FOR EVERYTHING RELATED TO GAME OF THRONES! Game of Thrones is praised for many things: the brilliant casting of roles, the fresh take on an already interesting story, the fantastic locations and more. However, like in many pieces of art, the true brilliance lies in the little details, and George R.R. 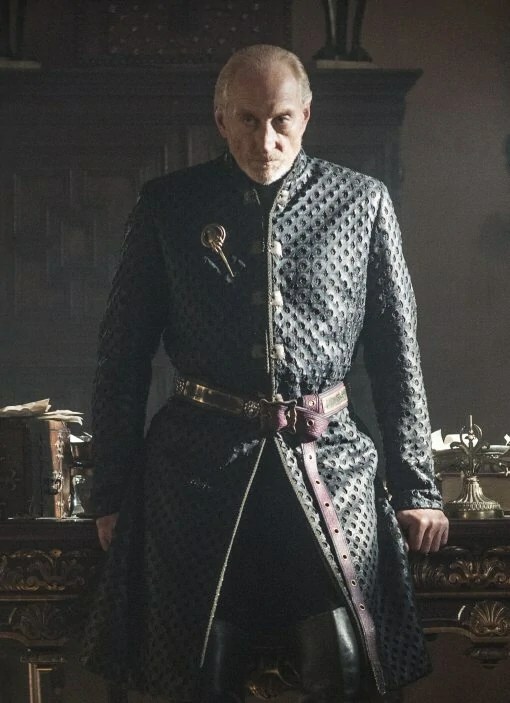 Martin and the creators of the show have put quite some effort in hiding subtle symbolism throughout the show (which Martin already did in the books), and one of the characters they like to use for that is the always threatening Tywin Lannister, head of house Lannister and all-round badass. Everyone who has read the books knows that Martin is a sucker for “signs and portents”, mysterious symbolism that foreshadows future events or abstracts current situations. When the Starks find the litter of dire wolf cubs, it’s no coincidence that there’s one for each of them. It’s also no coincidence that Jon receives the albino cub. It’s damn symbolism, linking the Stark children to their dire wolves (some more than others). The books offer a few other examples, but the show is also filled with them. Tywin Lannister is used for two really obvious portents, at least if someone pays attention. In the first season, during a conversation with Jaime, Tywin is busy skinning a stag. Well, who’s coat-of-arms is the stag? Exactly! And who dies during a hunting “incident”? Precisely! Coincidence? I think not. The great touch in this scene is how careful Tywin empties and skins the animal. He shows the same precision in this craft as he does in politics, a magnificent method to portray his lethal accuracy. Again, it’s subtle, but that’s what makes it great. I can’t wait to see more of these little hints in future episodes. Also, I can’t wait to see more of Tywin. He’s such a badass!